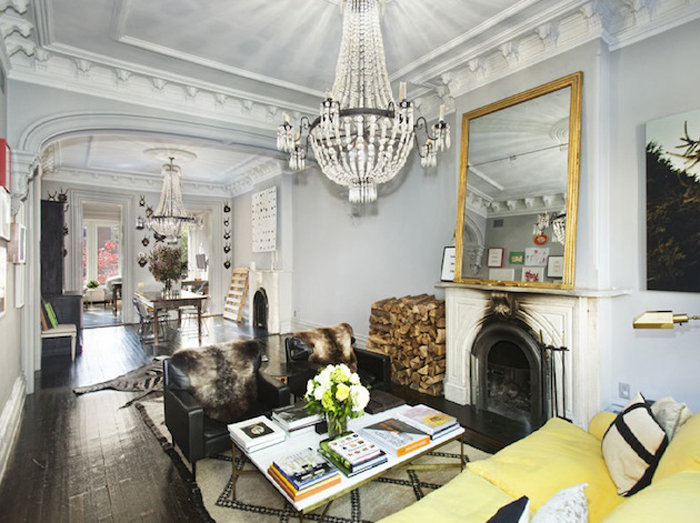 Jenna Lyons’ home is officially off the market this week. 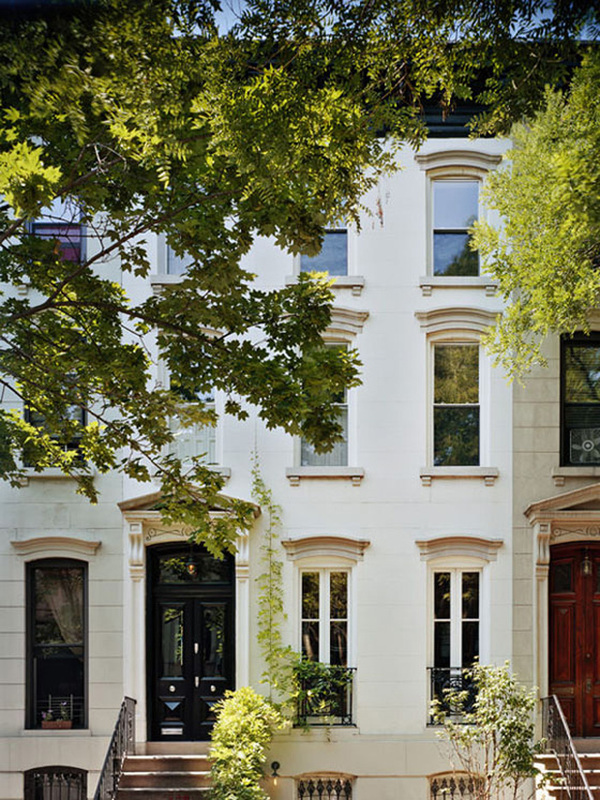 The Park Slope town home has been a favorite of mine ever since I saw it featured in Domino magazine years ago. It’s just so fantastic. The details are exquisite – the limestone mantels, the yellow-and-white stripe wallpaper on the ceiling, and of course, that closet. I know we’ve all seen these images plenty of times, but I figured it deserves one (or three) more looks. Happy Weekend! I’LL TAKE ONE OF OF EACH, PLEASE. I've always loved her space as well since seeing it in Domino, i've held on to that issue for that very reason! 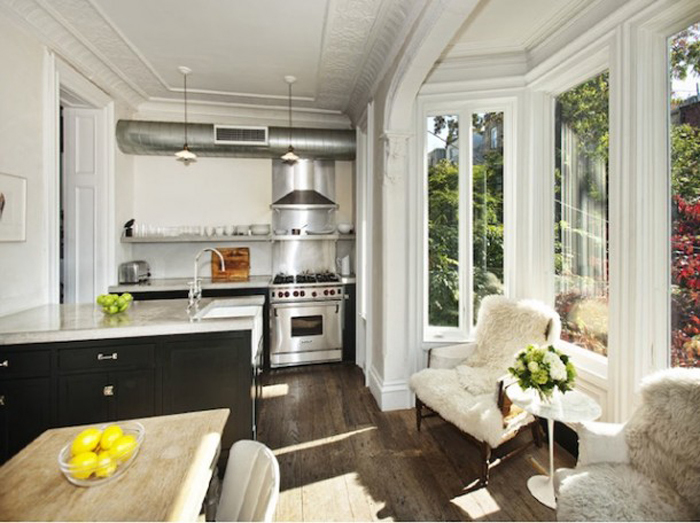 love the animal head ephemera and range stove! Absolutely stunning details! 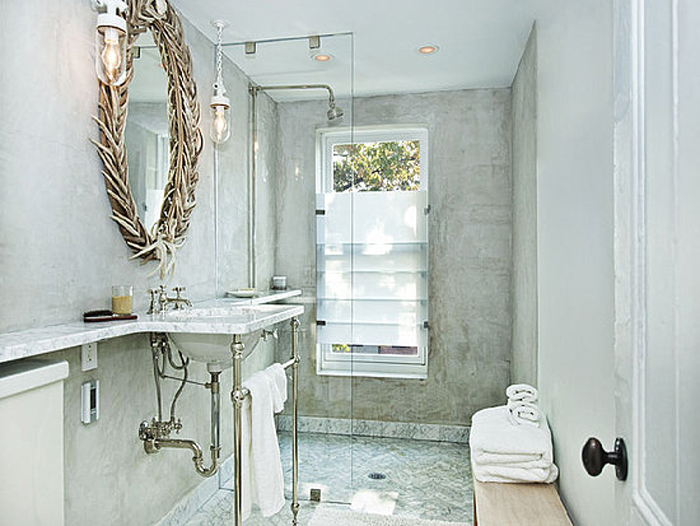 I love those counter tops and that closet- ridiculous! I want to “pin” every photo!! once was, is, and always will be an iconic space! Hopefully new inspiration will travel with her! I've always loved her home as well. That closet I could never get over. 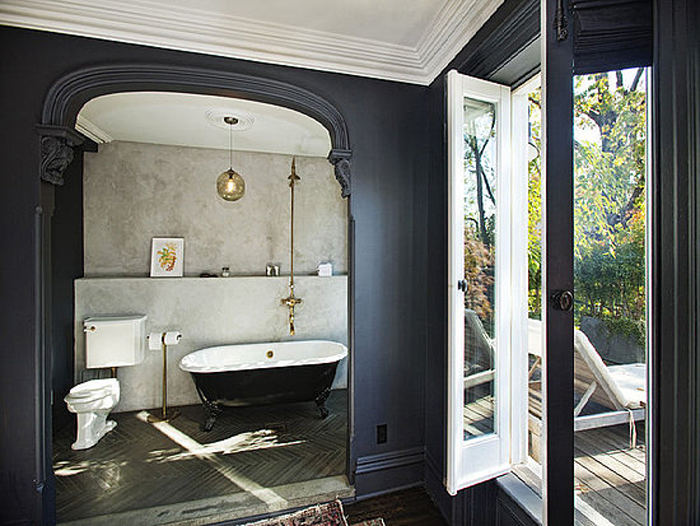 absolutely in love with the stripped yellow ceiling! ughhhh so good! every last bit of it! Bummer, my guy and I will be moving to NYC this summer and we were hoping to move right on in… ha, I wish!!! 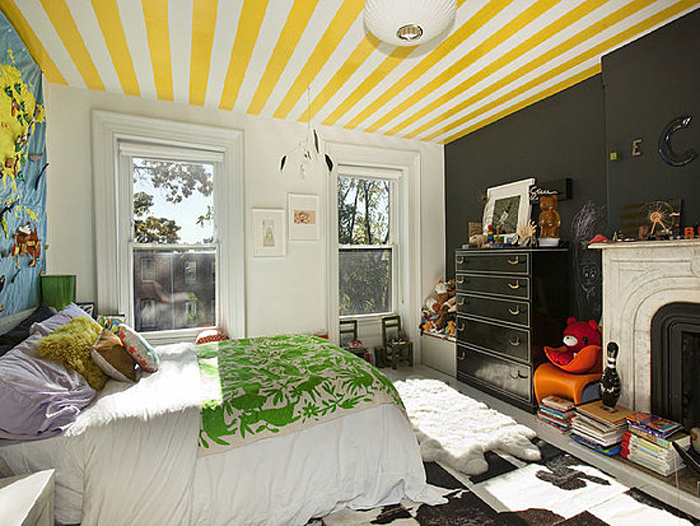 The yellow striped ceiling is unexpectedly natural-looking and not harsh on the eye…great idea!